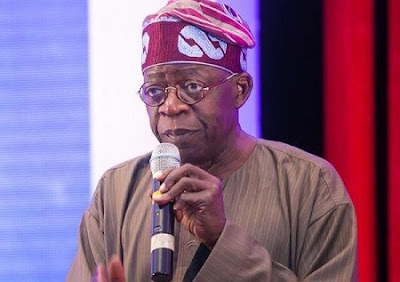 Bola Tinubu, national leader of the All Progressive Congress (APC) has stated why Atiku Abubakar, the 2019 presidential candidate of the Peoples Democratic Party (PDP) should not be elected president. Mr Abubakar popularly known as Atiku, is the major challenger of President Muhammadu Buhari, who seeks a second term in office. For Tinubu, the PDP flag-bearer should not be elected president because he abused earlier opportunity given to him by Nigerians. He also said the former vice president could not be trusted unlike the president. The former Lagos State governor stated this in a statement wherein he accepted the assignment given to him by Buhari to take full charge of his re-election campaign. “The character of the two candidates cannot be more distinct. President Buhari is a straight and honest man. Leave a naira on the table with Buhari in the room. You will find the naira on the table when you return,” Tinubu said. “His compass has four needles pointing in different directions as the same time. He knows of no direction to take. President Buhari’s word is his bond. When Atiku speaks, it is to give you the slip. “We cannot afford a President whose ways and mind is a maze of contradicting urges and colliding desires. This shows he has no vision for the nation and no guiding principles except the Unclad pursuit of power for the Unclad use of that power. “Atiku had his chance to shine as VP when he controlled the privatization program of the Obasanjo government. He abused this assignment. He helped squander billions of dollars on power generation that did nothing but extend our national the darkness. “That government had so much money at its disposal and that is exactly what it did. It disposed of the money yet failed to treat the poor or build for the future. Atiku laid waste to the national treasury for eight long years. That is enough for one lifetime. “We should not reward him by giving him another eight years because the more he feeds, the stronger his hunger grows,” the top official of the APC said. Tinubu also accepted the assignment to head the president’s campaign team. “Consequently, the members of the APC presidential campaign council accept our respective assignments as both high honor and heavy responsibility. We will work diligently to reelect President Buhari. “We do this not for personal accolades. We do this not merely to reelect a party member. We do this because it is the best thing for Nigeria,” he said.